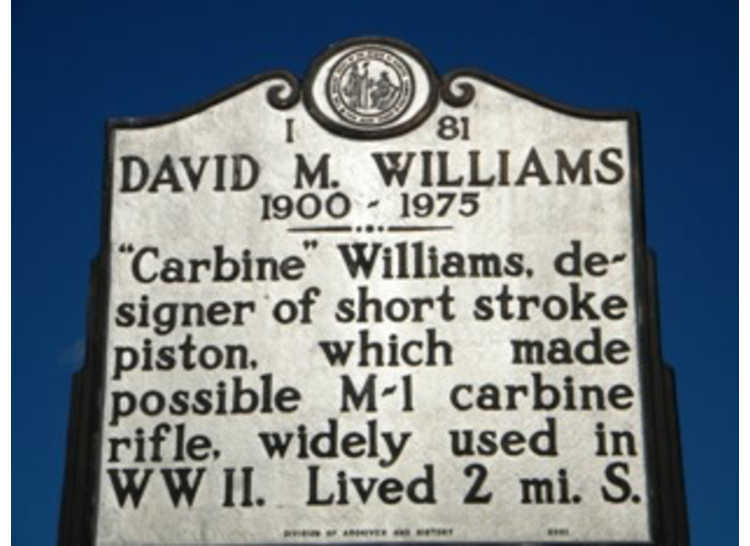 “Carbine” Williams, designer of short stroke piston, which made possible M-1 carbine rifle, widely used in WWII. 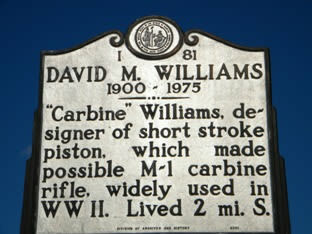 Lived 2 mi. S.